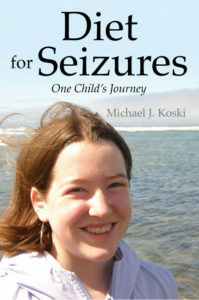 Michael Koski (Atkins for Seizures) (“us”, “we”, or “our”) operates the www.atkinsforseizures.com website (hereinafter referred to as the “Service”). Nothing on this website should be considered medical advice, we are not doctors or Neurologists. The intent and purpose of this site is to provide information to assist families who are using the Atkins or Ketogenic protocols – under the supervision of their doctors. If you are considering this therapy, you will also find information that will help you and your doctors understand what is involved. You may qualify for one of the current Johns Hopkins studies, using Atkins for Seizures. Contact them here before attempting any diet therapy, as this may disqualify you from participation. Atkins Nutritionals and Atkins Foundation: Both Atkins Nutritionals and the Atkins Foundation have been instrumental in making Atkins for Seizures possible as a therapy for epilepsy. While they are aware of this website, and have graciously permitted us to link to them, they are not affiliated with www.atkinsforseizures.com, nor are they responsible for any content found here. Johns Hopkins: Johns Hopkins, Dr. Eric Kossoff, and Dr. John Freeman have been the pioneers of diet therapy for Epilepsy. John Freeman’s book can be found here, and Dr. Kossoff is the lead investigator for the Atkins Diet for Seizures studies. They have graciously donated material for this website. However, they are not responsible for the content found here. You can purchase their newly updated book by visiting the recommended reading page of this website. Please note: Michael Koski is a participant in the Amazon Services LLC Associates Program, an affiliate advertising program designed to provide a means for sites to earn advertising fees by advertising and linking to amazon.com. If you purchase anything from Amazon after clicking on the links on this website he will earn a commission.